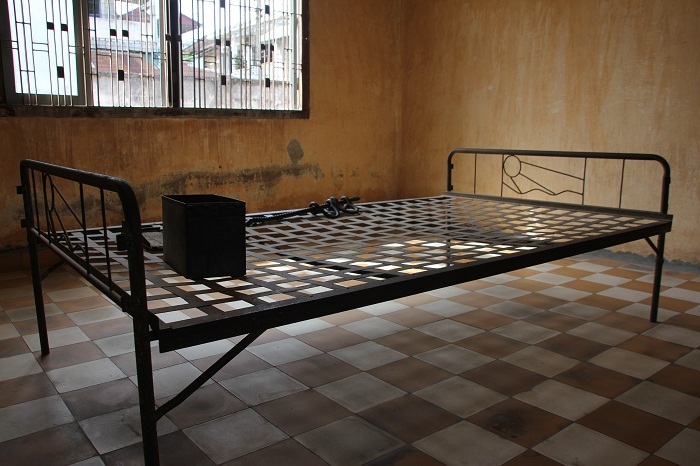 If Angkor Wat represents one of the most beautiful monuments humanity can achieve, then our visit to the S-21 Tuol Sleng Genocide Museum in Phnom Penh, Cambodia represents the exact opposite. Much of our trip has us marveling at what incredibly good things humans are capable of, but this visit reminded us what terrible things that humans have the capacity to do. The Khmer Rouge party that ruled Cambodia in the mid 1970’s and killed between 1.5 and 2 million people was centered in Phnom Penh. 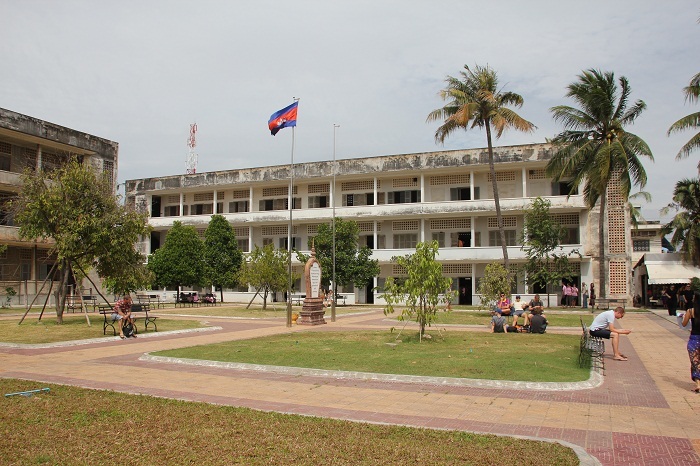 S-21 was formerly a school before it was taken over by Khmer Rouge to detain, torture, and eventually kill citizens. We didn’t know much about S-21 before we visited so we decided to do something we don’t normally do and hire a guide. Having a guide made the visit a visceral experience because when another person tells you the atrocities committed here it’s a lot different than just reading a sign about it. We were led from room to room where torture was carried out, with many of the iron bed frames and torture instruments left out in the same way they were thirty-five years ago. Blood spatter from victims was still visible on the ceiling. 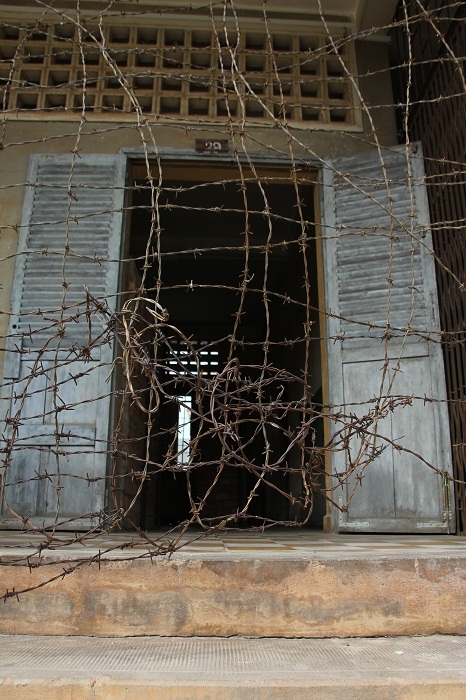 One wing of the building was covered in barbed wire, put in place to keep people from jumping to their deaths. After hearing the methods of how the Khmer Rouge tortured and killed victims (especially children), Dana couldn’t take much more of it and felt ill. Roughly 15,000 people were killed at S-21. There were seven men who survived the experience of being detained here. Three are still living. One of the best parts of our visit here was the opportunity to meet two of these men. 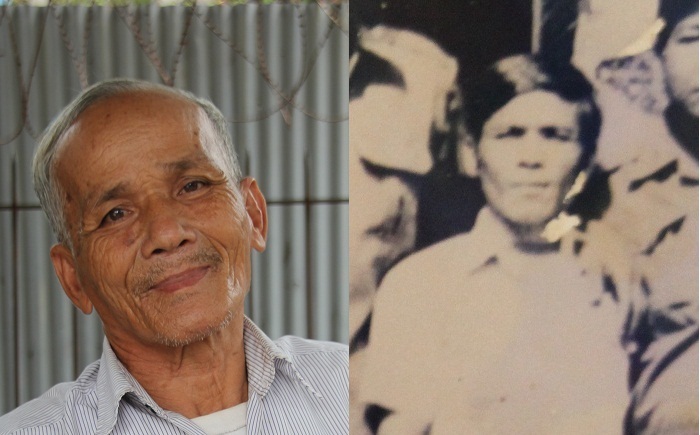 Bou Meng and Chum Mey were both there the day we visited. Bou Meng was a young artist that Pol Pot kept around to paint his portrait. Mr. Meng shrewdly painted the dictator’s portrait achingly slow, because he knew that finishing the painting would mean he had no value and would then be killed. He sells a book he wrote near the entrance and I couldn´t get the money out fast enough to buy a copy. 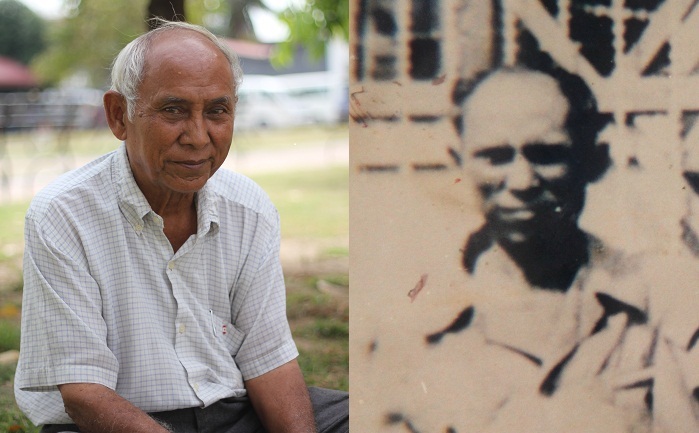 Chum Mey was a mechanic, and since the Khmer Rouge had vehicles and they needed to be fixed, he had value as well. When you shook their hand, you could in their eyes something different about them. Words cannot express what it feels like to meet someone that has survived such horrors. 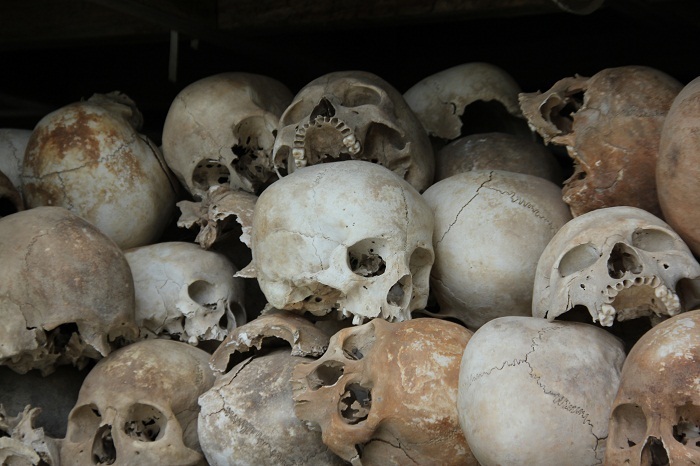 The second half of the day was spent visiting the mass graves known as the killing fields. 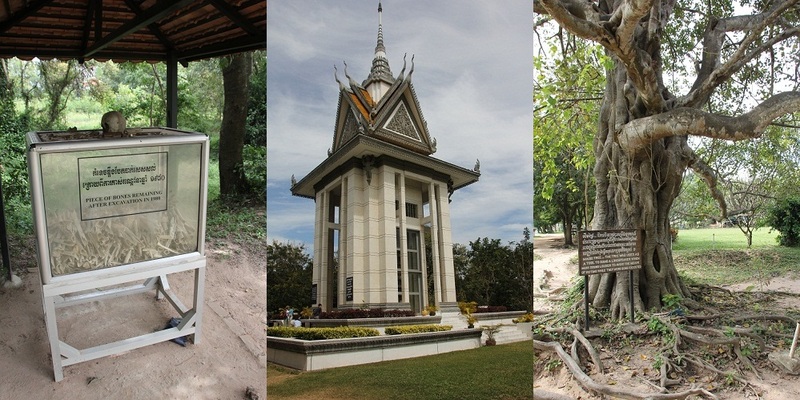 There is a commemorative stupa that is filled with the skulls of victims, many of them showing where they were crushed in by farm instruments or weapons. 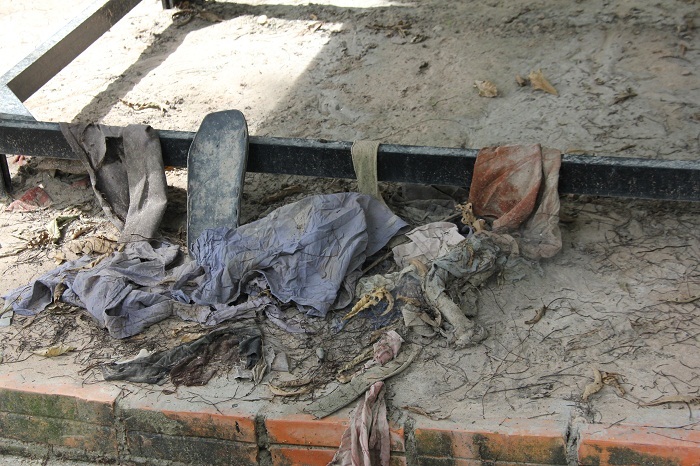 The mass graves held over 17,000 victims. It’s one thing to see a news article on the internet and read about when bad things happen in the world but to visit an actual place where atrocities were committed hits you hard. After witnessing something like this, it’s difficult to look at the Cambodian people the same way as before. We now have an appreciation for what they continue to suffer through, in sense that the current population is still subjected to rampant poverty as a result of the devastation occurred decades ago. It was truly a horrible experience, but one that was necessary to value all of the good we have seen on our trip. 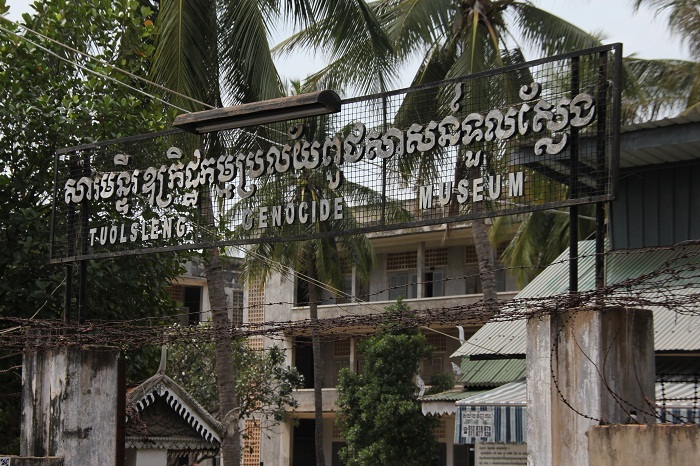 This entry was posted in Cambodia and tagged Cambodia, Khmer Rouge, Killing Fields, Phnom Penh. Bookmark the permalink. I’ve been here and the experience absolutely changed my life. Everything I thought I ever knew about life or wanted in life changed during that visit and of all the amazing and beautiful places I have had the fortune of visiting in this world, to this day I still say Cambodia is my favorite because of the lasting impression it left. I am so glad you guys made your way there on this journey and from the sound of it, Cambodia had a similar affect on you as well.